Was Melania Trump's Republican National Convention speech more closely aligned with Michelle Obama's 2008 Democratic National Convention speech, or the cartoon My Little Pony? 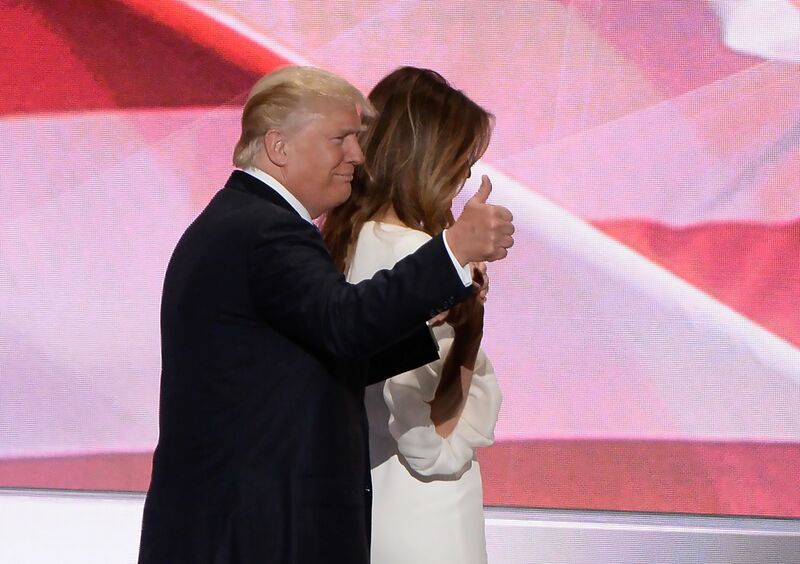 The Melania Trump speech scandal (let's just call it #Speechgate, shall we?) with its verbatim similarity to Michelle Obama's 2008 speech, became the subject of much debate and scrutiny on Tuesday. And in a confusing attempt to reconcile the situation, Trump's campaign likened Melania's speech with My Little Pony. The Trump presidential campaign has been filled with absurdities; the speech scandal is just another one of those bizarre things, and it sort of seems like Trump's latest magician trick to stop the internet cold in its tracks. Today's headlines bring me back to a relatively quiet morning on the fifth of May, when I had a sudden realization: "Today is Cinco de Mayo, isn't it?" I asked a colleague. No, I wasn't getting revved up for an excuse to throw an impromptu party, but thought that Trump, being the great publicity master that he is, would definitely be up to something to get attention from voters. A quick search online yielded just what I had intuited: Trump had the audacity to post a picture of himself eating a $13.25 taco bowl from one of his self-titled cafes, and his tweet read "Happy #CincoDeMayo! The best taco bowls are made in Trump Tower Grill. I love Hispanics!" Talk about damage control. Taking a page out of the Kardashian book on how to stay relevant and dominant in the complex world of social media, Trump proves himself time and again to be King Of The Absurd: a P.T. Barnum, if you will, with cable news and the Internet at his helm. Hillary Clinton aptly summed it up, referring to the Trump campaign's actions at the RNC as "surreal" and likened it to the "Wizard of Oz." So, yes, it is absolutely outrageous that Melania Trump would present a speech that copied and pasted quotes from Michelle Obama's 2008 speech, or, for that matter, equally outrageous that the RNC Communications Director Sean Spicer would defend Melania's speech by telling Wolf Blitzer that it drew inspiration from popular songs and the cartoon My Little Pony. Spicer argued his point by noting that the cartoon uses the statement, "This is your dream, anything you can do in your dreams you can do now" as its catchphrase. (I've never watched the cartoon either, but apparently the saying is a popular thing.) And he said that with a straight face. Spicer had some backup from fellow Republicans, too. Gov. Chris Christie also told NBC's TODAY that her speech was "93 percent ... completely different than Michelle Obama's speech." Well, at least someone from the Trump campaign admitted to the similarities. But Trump, if nothing else, is a mastermind when it comes to seizing control of the national conversation. His vitriolic campaign, called homophobic, racist and sexist by commentators and politicians alike, reminds me constantly of the classic magic trick of pulling a rabbit out of a hat. And Monday was the first act of this show, which featured a mirroring act. It's not exactly clear why Melania's speech had similar lines to Michelle Obama's, so I guess it's left to the imagination at this point. But Trump traffics in the absurd, so maybe it was a way to suggest bipartisanship? Or a déjà vu, "Look how this sounds when Melania says it," tongue and cheek thing? And maybe, just maybe, it was a way for Trump to tip his hat off to the Obamas, as imitation is the highest form of flattery? But all of these hypothetical explanations are as absurd as the Trump campaign itself, and the My Little Pony comparison is just another reminder of the bizarre reality that exists around Trump.